As the seller asks, how many times will we see this? Was it really an investment or did someone forget they had bought this? That is really the only way that would have kept me from riding this more then 3 km. 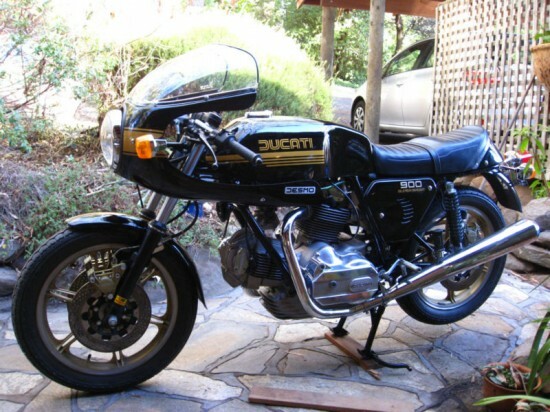 This 1980 Ducati 900SS could have rolled out of a time machine, but the seller says its been this way, waiting for years. 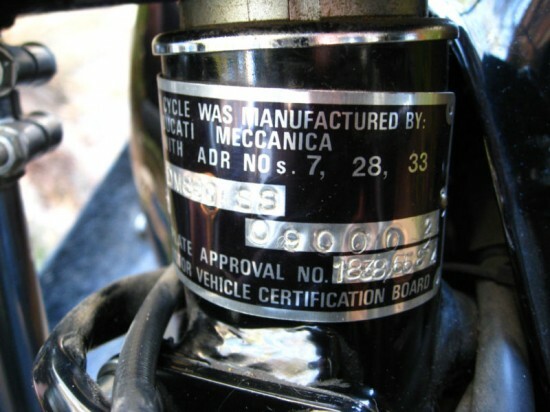 If you have been to Classic Sports Bikes For Sale before you know the 900ss. The bigger brother to the 750SS, which may have brought Ducati back from the brink. 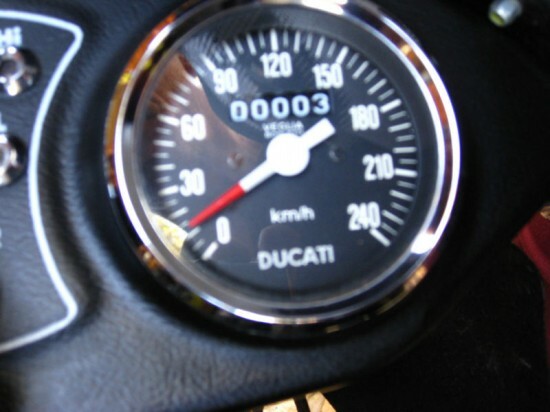 The 900 SS was only 864cc but it would still get the bike and rider up to 131.5 mph. 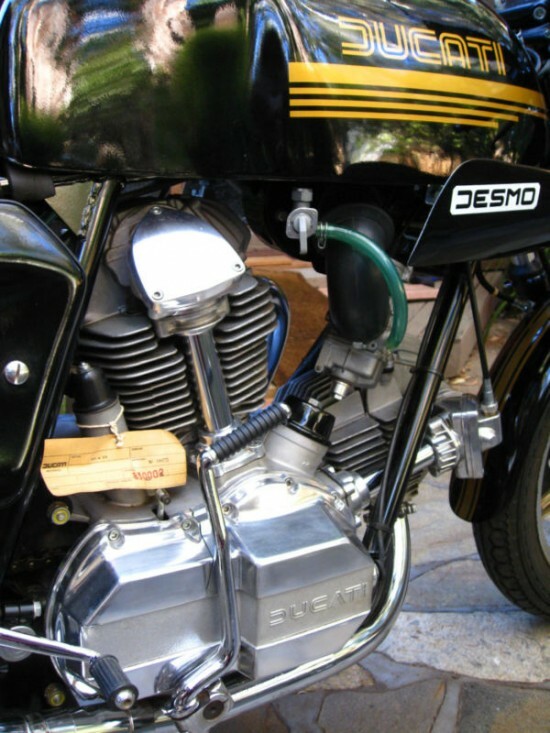 The L-Twin, Desmotromic valves, big open Dell’orto, Mag wheels, Clip-ons, small fairing, three pizza pan size disk brakes. Black on Gold. 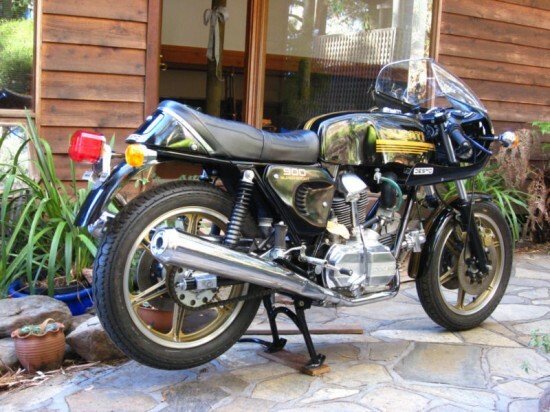 This bike was bought brand new from Norm Fraser P/L in Sydney Australia,delivered to AdelaideAustralia & put into storage.The vision was to keep it & leave it to family members but unforeseen financial pressure & deadlines resulted in the need to sell before time. Upon delivery it was coated with a light protective oil that has kept the finishes beautiful, ready for a professional detailing for showing (If desired). All moving parts were gently turned (inc motor) by hand periodically during storage. This will obviously be a unique addition to any collection – How many brand new SS’s are available? Alternatively a magnificent opportunity to prepare & fire up for the retro ride of dreams!